If you are a regular reader or know me then you will probably have sussed something out by now.....I bloody love Primark. Therefore I am making it my mission to test out as much of the beauty range as I can to let you know what I love and what I would give a miss to. That way I get to feed my beauty addiction and you dont waste your money, its a win win situation. You may have caught my post a few weeks ago on a whole heap of stuff I picked up from the range but if you didn't then click here to catch up. So, this time I didnt go quite as overboard as before, I actually demonstrated a little self control which is impressive I know. I picked up two of the PS Blushers which were a snip at £1.50. I am trying to branch out from my blush comfort zone at the moment so thought these would be worth a shot and I felt a little drawn to them because they reminded me of the packaging Mac blushers come in. 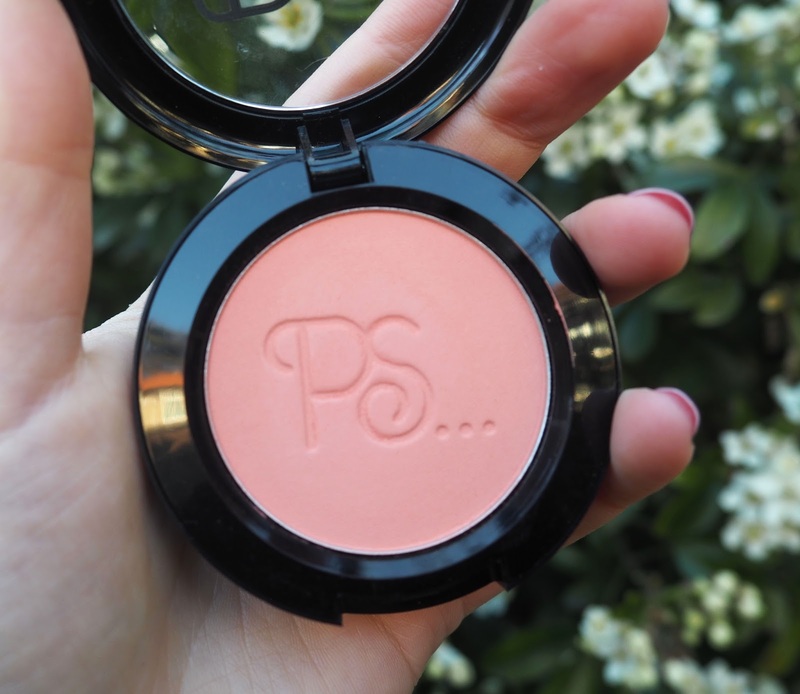 I decided to go for the shades Taboo, which is a light, peach colour so perfect for the warmer months (though I dont see much evidence of that here at the moment!) and Amaretto which is a dusty brown/ pink shade. I have to say I'm pretty impressed with the pigmentation of these, in fact it was a little easy to go a bit overboard with them so I would recommend tapping the excess of your brush before applying to avoid 'clown face'. I wouldnt have expected these to have quite so much colour which is why I went in a little heavy handed the first time, oopsy. They also apply evenly too giving a nice flush to the cheek without needing a tonne of blending to get a some what natural looking blush. They did fade a little throughout the day but keep in mind that can be fairly common with blush so in my opinion is no biggie. There was still colour there at the end of the day and it didnt fade massively so I was happy. For me I will get more use out of Taboo just because its a lighter shade and suits my skin tone more. Amaretto was always a gamble for me but I did manage to make it work with a very light hand, on darker skin this would work perfectly to give a bit of colour and defintion to the cheeks. Overall, I really liked these, I think they're great for the price and wasn't disappointed. I didn't see many colours on the display, in fact I think there was only one other but I cant remember why I wasn't keen on that one now. If you have tried these or know that more shades exist then leave me a comment so I can hunt them down! Moving on to the PS.. 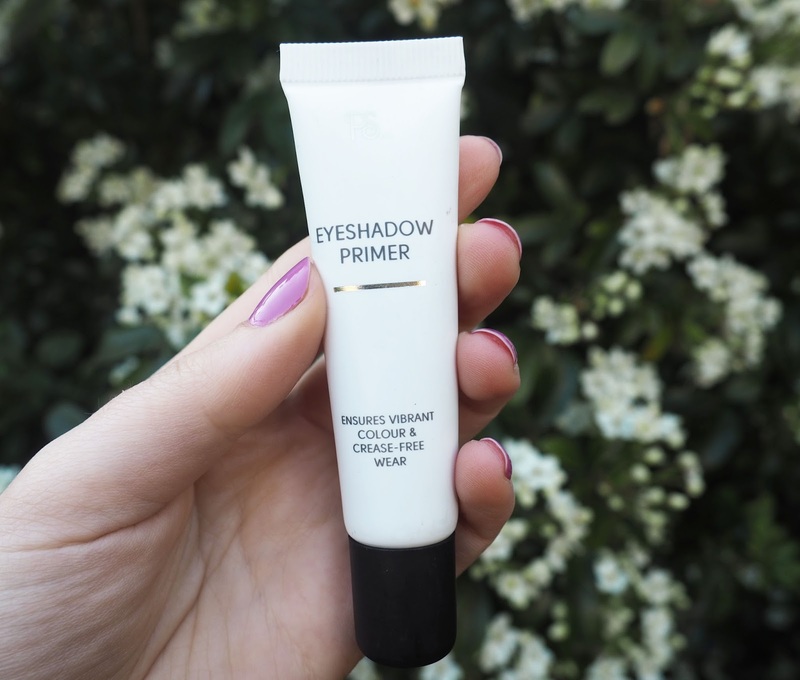 Eye Primer. Again, for regular readers/ watchers of my YouTube channel (JasmineMarie Beauty- thats right, that was a shameful plug!) you will know I am obsessed with the Nyx HD Eye Primer and have decided I need to venture away from that for a little while. So when I saw this one sitting on the display for £2 it seemed like a no brainer. On the packaging it claims it 'ensures vibrant colour & crease-free wear'. 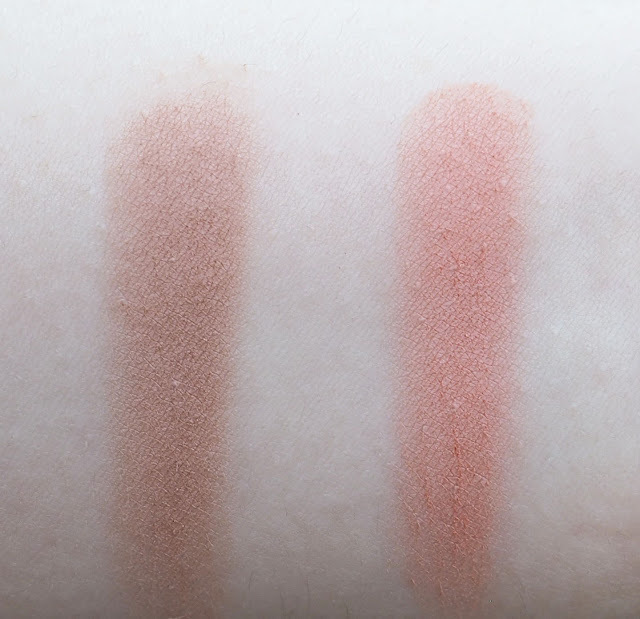 This has a slightly pink tone to it which I believe is meant to even out the texture of the eyelid, I have to say I didnt notice it covering veins or anything like that but it left my eyelids slightly tacky (not uncomftoably so) for my eyeshadow application. Eyeshadow applied well with this, no dragging or any of that business. As for the claim about 'vibrancy' I can't say that this seemed any better or worse than usual either, so far, so good. Unfortunately though my eyeshadow did crease, not horrendously so but enough for it to be annoying and it happened after about 4 or 5 hours so not a particuarly long amount of time either. For that reason this was a bit of a miss for me. 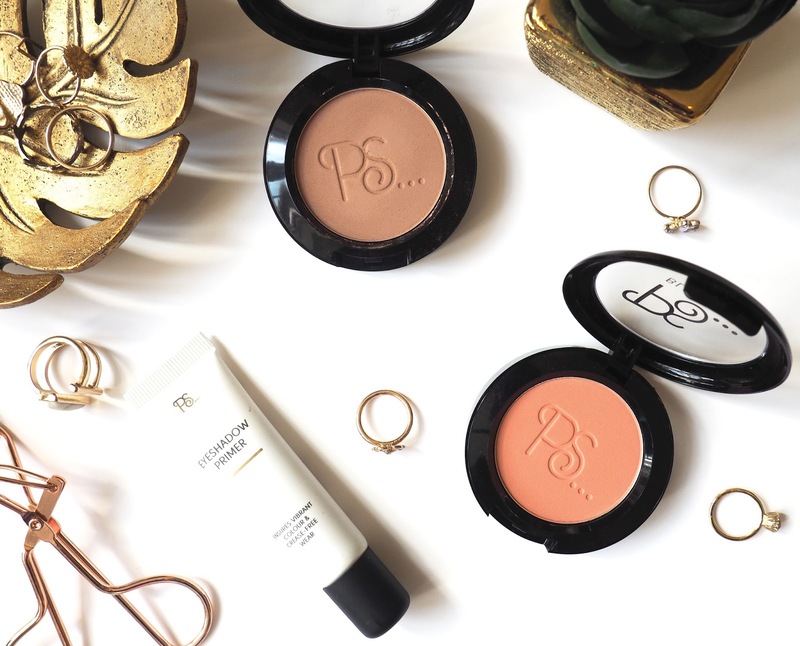 I'm going to continue to try out bits and pieces from the Primark beauty ranges so expect them to become a bit of a regular on here! Let me know which bits you love or loath from the range. Amaretto is such a gorgeous shade, you could even use it for contouring. 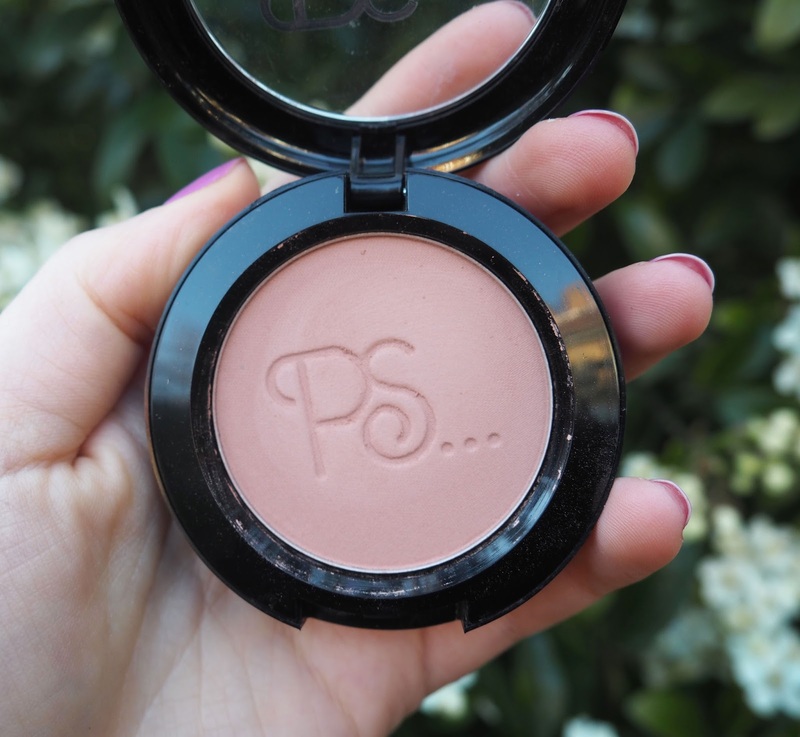 Hi, i love the blush amaretto! But only now here in Holland, i can 't buy it anymore :(! Can you stolp buy it there?